I went out for another routine route inspection today. I was pleased to find that all the signs I’d previously put up were still in place. 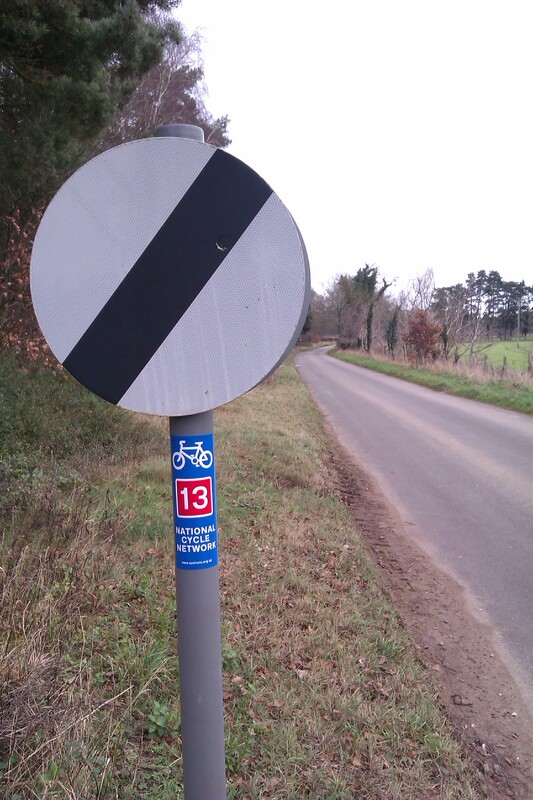 I found one location for a new sign: a route 13 confirmation to the north of Croxton, just after route 13 and 30 diverge. There are still a few places on my section where a additional sign would be useful but there’s nowhere convenient to place one. These problems will have to wait until the weather is a bit warmer, when I’ll try to come up with some creative solutions.